Laminate tile, also known as vinyl tile, is the easy way to install tile flooring. Laminate tile has a self-adhesive backing, meaning you can adhere it to any flat surface. You can Install full-size laminate tiles in the center of your floor, but you'll have to make cuts around the edges. Fortunately, laminate tile is easy to cut with a razor blade or utility knife, so your tiles fit perfectly. Cut laminate tile to finish your floor installation. Turn a piece of tile over so the paper backing faces up. Position that tile where you will install it and line up the tile so it's straight with the other tiles you've installed. Mark the paper backing on both the left side and the right side where you need to make your cut, using a marker. Connect the two markings, using a ruler, and cut the laminate tile in a straight line along the edge of your ruler, using a razor blade. Slide the razor blade along the laminate tile where you need to make your cuts multiple times until you cut through the tile. 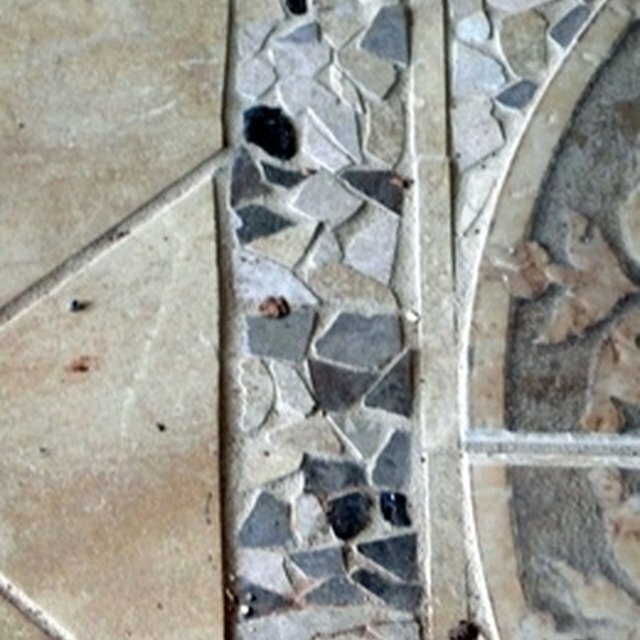 Peel the paper backing off your tile and adhere it to the floor to lay your cut tile in position.